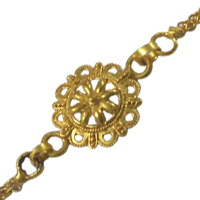 Prepare for the best Raksha Bandhan by ordering online this Impressionable 24 Carat Gold Plated Designer 1 Rakhi for Auspicious Occasion and spread your love miles away into the hearts of the people you love. Make this Rakhi special, by sending this 24 Carat Gold Plated Designer 2 Rakhi for your wonderful brother. Make this Rakhi special, by sending this 24 Carat Gold Plated Designer 3 Rakhi for your wonderful brother. Make this Rakhi special, by sending this 24 Carat Gold Plated Designer 4 Rakhi for your wonderful brother.